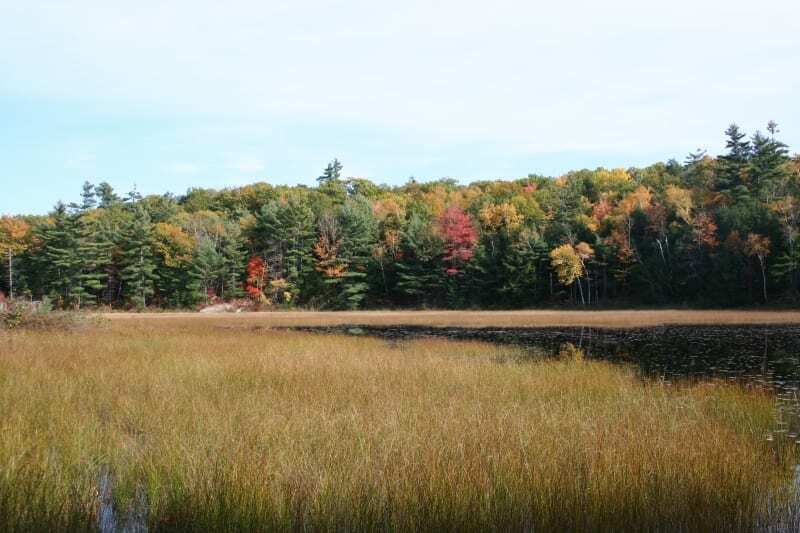 Within this conservation area that conserves the important wildlife habitat and wetlands of Curtis Bog, ALT owns a 114-acre property that was donated to ALT by the Maine Department of Transportation in 2008. As part of ALT’s continuing effort to advance wetland mitigation projects that meet regional conservation priorities, Curtis Bog was selected because of the high quality wetland and forest habitat. As part of the wetland mitigation process, ALT also holds the conservation easement of 220 additional acres privately owned in the bog.